Discussion in 'Spam' started by Sìlfae, Apr 24, 2017. Nonostante il nostro sito sia in italiano, so che ci sono alcuni anglofoni tra gli utenti, per cui ho pensato di condividere questa pubblicazione. Two knights track down a dangerous monster lurking beneath Pnarakon, the City of Masks. As they prepare themselves to spring their ambush on the beast, little they know that they are about to be dragged in the middle of an insidious conspiracy which threatens to shake the entirety of the Structure. In a claustrophobic world where food and space are precious commodities and sunlight is only a distant memory, a Warrior, a Scion, and a Scholar will struggle through the echoes of fear and desperation resonating in the rusted-out corridors of an endless labyrinth. 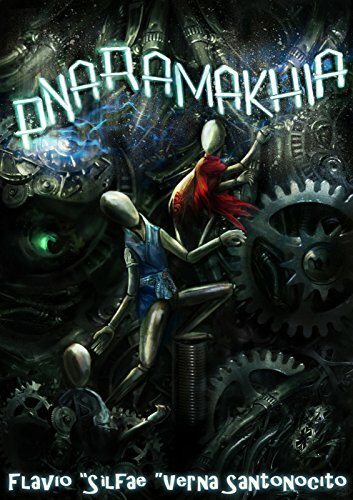 Pnaramakhia is a dystopian, steampunk thriller with a lovecraftian flair. Within it, I subvert and deconstruct a few common fantasy tropes while, at the same time, I explore some of the darker aspects of the human mind. This book is a monumental work, providing a multi-layered and engaging experience. If you like dark steampunk settings, you'll find plenty of that here. If you like accurate and deep world-building, that's also in here. If you like cosmic horrors, ancient aliens, sorcery, claustrophobic underground ruins, you'll find them here. If you like mystery, political intrigue, and hard moral choices, that's also part of the package. If you like accurate historical combat, battle strategy, and world-shaking plots, I've got you covered as well.